We have a series of fun and enriching Etiquette, Character Education and Personal Development Holiday Workshops line up for your children and youths in November/December 2018 school vacations. Join in the workshop today and be a Cool Kind Kid. One of our most well-received workshop is back this December. In this workshop, children get to learn about the fundamentals of good manners, how to make a positive first impression, personal grooming and deportment, good table manners and dining etiquette and more. What is "Charactiquette"? It simply means Good Character and Great Etiquette. In this uniquely designed boot camp, learners are provided with the opportunity to master good social skills and character values in an enjoyable and lively manner. 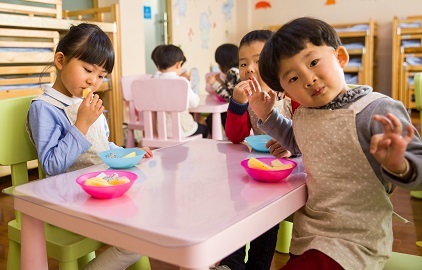 Besides learning how to form positive first impressions, children are also shared on the knowledge of good dining etiquette, personal grooming, effective communication skills, important character traits and values such as integrity, gratefulness, self-control and more. Is your child a table monster or simply unable to complete a meal elegantly? Does he/she know the right way to hold a fork and knife and how best to behave at the dining table? Join us in this December holiday on a lunch date where your child gets to experience and learn all about good table manners and the essential dining etiquette in our hands-on practical Appetizing Etiquette Session. Meals will be served during the workshop. All participants will receive a set of specially designed cutlery for FREE. Youths today encounter many opportunities to position themselves in front of panels of interviewers when they apply for DSA or a new job opportunity. How do we ensure they are confident and tasks with the best skills to ace their interviews? In this workshop, our youths are shared on how to groom and dress themselves well for an interview, how to present themselves positively in front of the interviewers, how to draw out an outstanding cover letter and curriculum vitae and most importantly, how to impress the interviewers and stand out during the interview sessions. Please complete the Application Form on the next page upon selection of your workshop session(s) below.